As said before, I have more pictures of Jennifer’s photoshoots. Some albums have been updated with newer pictures and some albums have been created. More pictures will come soon. Be Dior (Autumn/Winter 2015) Photoshoot! I added 6 gorgeous photoshoot outtakes featuring Jen for Dior Autumn/Winter 2015 Collection. I love love love Dior and this shoot/collection is no exception (omg that rhymed! haha) Anyways, take a look! Dior released some new promotional photos of Jennifer for the 2015 Fall & Winter ladies handbag collection “Be Dior “. 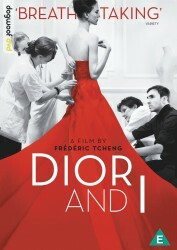 Dior and I brings the viewer inside the storied world of the Christian Dior fashion house with a privileged, behind-the-scenes look at the creation of Raf Simons’ first haute couture collection as its new artistic director – a true labor of love created by a dedicated group of collaborators. Melding the everyday, pressure-filled components of fashion with mysterious echoes from the iconic brand’s past, the film is also a colorful homage to the seamstresses who serve Simons’ vision. Dior released some new promotional photos of Jennifer for the 2014/2015 Fall & Winter ladies handbag collection. The new campaing of Jennifer Lawrence for Dior is out! Jennifer is once again the face of Women Handbag Collection, and the Fall/Winter 2014-15 campaign has now been released. Jennifer looks amazing on the photos and at the behind the scenes video. Jennifer Lawrence brings her captivating gaze to her third Dior campaign. Short hair tousled and wind-swept, the actress was photographed by Patrick Demarchelier as she cradles the chain-handled Miss Dior bag. The print campaign is slated to break in Marie Claire in the U.K. on Thursday, followed by the April issue of Vanity Fair in the U.S.